As a single 30-something with no children, I sometimes feel like I’m in my second childhood. I still watch cartoons and collect baby dolls that exude black girl magic with absolutely no shame. But coloring has never excited me as a kid, and it didn’t appeal to me in adulthood when my cousin mentioned her coloring book for women. I thought to myself: I ain’t THAT bored! But according to Psychology Today, there is power in coloring. Researchers say that coloring can be used to aid with therapy and as an intervention to relieve stress and anxiety. Taking this into consideration, I can now see why coloring books are the new wave. 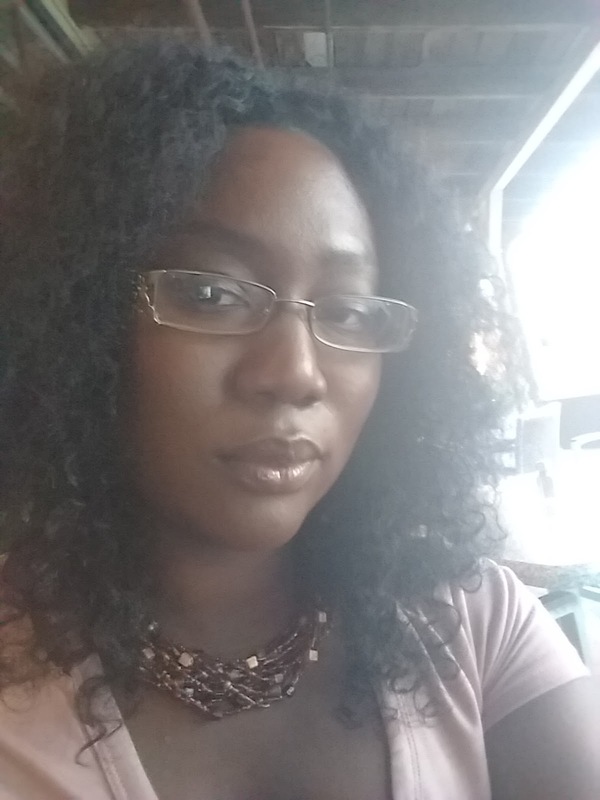 When I found the one created by Latoya Nicole, I was ecstatic. North Carolina mover and shaker Latoya is a mental health professional, entrepreneur, and the brains behind 24 Shades of Business: An Adult Coloring Book, which features images of beautiful, boss women who are bloggers, doctors, makeup artists, teachers, yoga instructors, etc. It also contains mazes and motivational quotes. 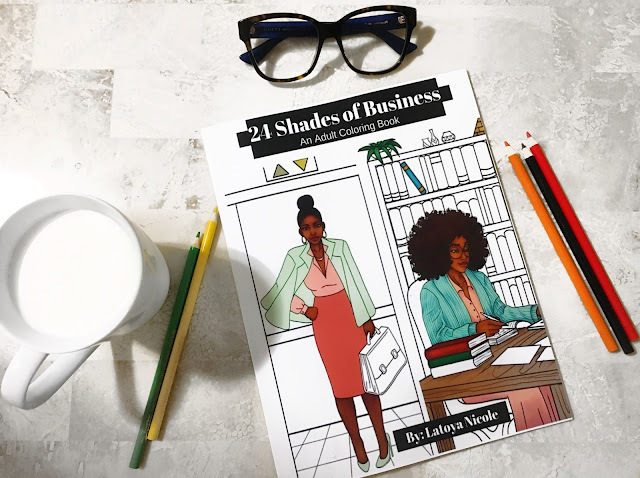 Recently, Latoya chatted with us about the inspiration behind her coloring book and why they're great therapy for black women, especially entrepreneurs! What inspired you to create a coloring book for entrepreneurs? I was at work a while back and it was a really busy season and we were all frustrated and overwhelmed with the work load. Some of the managers wanted to try and make things better so they were doing “stress relieving” things like providing free coffee, massages and they also brought each of us coloring books to help “take the load off.” To be honest, when I first saw the coloring book I was thinking “what am I gonna do with this?” because I hadn’t used a coloring book since I was a child. But one day I had gotten frustrated to the max and I jokingly and frustratingly said to the guy beside me “pass me one of those colored pencils!” Once I started coloring, I noticed that I started feeling calmer! But, I thought nothing else of it until years later and I was browsing the internet trying to figure out great ideas to put in place so that I could create passive income. My initial thought was to write a book about my journey and entrepreneurship, so I was browsing and asking God what my next move should be when I heard “24 Shades of Business.” When I hear certain things, especially after I ask, I don’t take them lightly because I'm a believer that I have always been given “witty inventions.” I quickly jotted down the title that I had heard and put it in my journal. Later, I started putting pieces together and remembered how the coloring book from my job had really helped. I also remembered that the coloring book only had trees, mandalas and birds for me to color. 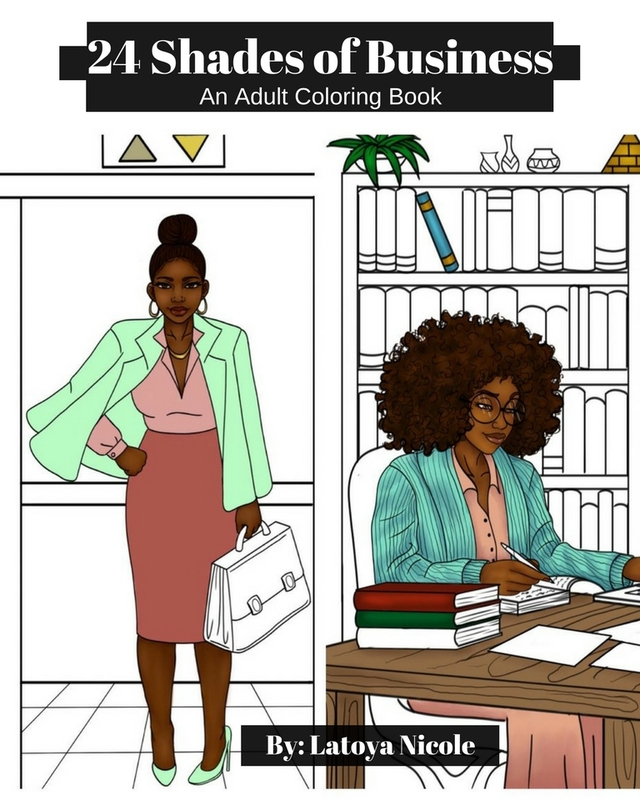 I started doing more research and I realized there were no adult coloring books that solely highlighted African-American entrepreneurs. And, of course, since I had already been given the title of the book “24 Shades of Business” I knew it would be dealing with business, so I took that and ran with it. Do you think the journey of building a business is more stressful for women of color? I do believe that building a business can be stressful, especially if you are trying to find funding as a start-up business. But, I also believe that we as women of color have always been pioneers and just like Madam C.J. Walker created a way to produce and sell hair care products, we’ve always found a way to make things happen with the resources that we have. Coloring allows us to switch our brains off from other thoughts and focus and concentrate only on the moment which can help decrease stress. The time and focus that adult coloring takes can help remove the focus from the negative issues and habits and focus them in a more productive way. When we are thinking about which color to choose and when we are applying crayon or colored pencil to paper, we are also working on problem solving. Who knew all of this was involved from the simple act of coloring and bringing a picture to life? Even now, many psychologists suggest coloring to patients as a means of relaxation, and as a calming tool. So, whether you decide to color by yourself or color with a group of girlfriends at a coloring party, just have fun and unplug. What has been the response to your coloring book? The response has been overwhelmingly excellent! People really love the idea and they have been very supportive! So much so that the week the book was released on Amazon it was a number one new release! How did you come up with the images in the book? I wanted the book to be something that girls and women like me could relate to, so I created a list of different types of entrepreneurs that I had seen or worked with. After I finished jotting down all the types of business women that I wanted to add, I also decided that I wanted the book to have a couple of puzzles. From there, I sent my illustrator the list and my view of the images as best I could using stick figures, ink pen & pencil drawings as well as pictures that inspired me. She was able to perfect it and make the images come alive and if I said “no she needs glasses on” or “no not like that, like this” she was on it! Once that was done, I created the layout and put everything together in the order of the vision I had and sent it off to be published. www.entrepreneurscolortoo.com. 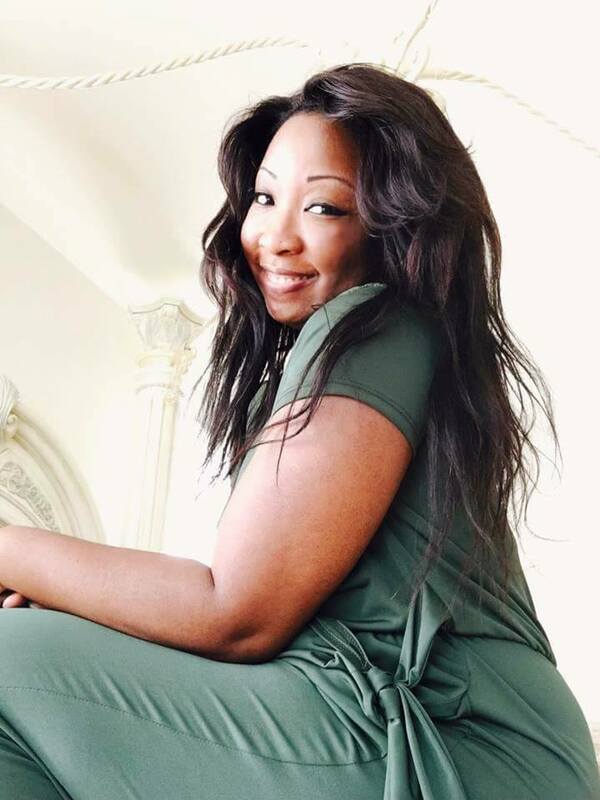 Latoya also teaches other women how to start and build their own online retail businesses. Will you give coloring a try?